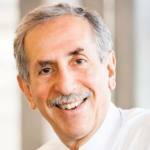 Dr. Alan Bernstein has been CIFAR’s President and CEO since 2012. Previously, he was Executive Director of the Global HIV Vaccine Enterprise in New York. From 2000 to 2007, he served as the inaugural President of the Canadian Institutes of Health Research (CIHR). Dr. Bernstein has made extensive contributions to the study of stem cells, blood cell formation and cancer. In 2002, he was made an Officer of the Order of Canada and inducted into the Canadian Medical Hall of Fame in 2015. He is the recipient of many honours and awards, including 6 honorary degrees. CIFAR was established in 1982 and brings together interdisciplinary groups of preeminent researchers from around the globe to address questions and challenges of importance to the world. CIFAR is comprised of close to 400 fellows, scholars and advisors who are among the most highly cited and honoured researchers in the world. As many as 18 Nobel Laureates have been associated with CIFAR since its inception. 1- Canada has become increasingly attractive for the very best domestic and international scientific talent, especially given the current political environments in the US and the UK. 2- In order to increase diversity in STEM disciplines, we need to tailor solutions to the barriers that each marginalized group faces. 3- Canadian youth are incredibly bright, entrepreneurial and more socially engaged than previous generations. This gives me great optimism for Canada’s future. Canada should strengthen the linkages between our universities and government funding agencies in order to develop a more strategic, excellent and problem based approach to this new world of interdisciplinary team science to solve our biggest problems. What works and what needs to change in the way Canada funds and supports research? The institutions that fund science need to be nimble and responsive. They need to work together and align with how leading edge science and research is now done. Moreover, they need to fund research at internationally competitive levels. The Canadian government clearly understands the importance of science and Budget 2018 will be transformative for Canadian science. We have four core agencies: the three granting councils for health, physical and social sciences; the humanities; as well as infrastructure and people. A major area where we can do better is to increase support for interdisciplinary team research. There is also a need for more opportunities for participating in international science. Canada should have a healthy mixture of bottom-up investigator-led research and strategic research that responds to the challenges facing Canada and the world. I hope the new $275 million “tri-council fund” the government has created to support international, interdisciplinary, fast-breaking and higher-risk researchwill be used for those purposes. This is a time for convergence, where many of the most exciting questions in science are intrinsically interdisciplinary. I would also like to see a stronger linkage between the health, physical and social sciences, the humanities, infrastructure and people. Simply put, we need to be more strategic in how we fund science. Two things are playing in Canada’s favour at the moment. First, Budget 2018 promises more funding and initiates a long overdue change in science funding mechanisms. Secondly, the world’s major powers in science – the UK and the US – have become much less attractive for scientific talent. That plays in Canada’s favour, at least in the short term. So this is Canada’s moment and we should seize it. How does CIFAR contribute towards Canadian and international research? CIFAR is a convener of some of the top scientists and scholars in the world. We believe passionately the best way to come up with transformative knowledge about tough problems is to bring the best people around the table, regardless of their country of origin or discipline and give them the time they need to address these tough problems. This is what we have been doing for over 35 years and this approach has clearly paid off. About 3.5 years ago, we launched our first ever Global Call for Ideas, which essentially said to the global research community, “Come forward with an idea that addresses a question of importance to the world.” CIFAR is interested in long-term discussions around an important challenge. So our major criterion is that the idea needs to address a question of importance to the world. At CIFAR, we are not interested in incremental science. We are truly risk-takers. Our second criterion is that the people proposed to be in the program need to be leaders in their field. The third criterion is that the group should be international. Canada is a small country and we therefore have to reach out to the world. We want to make sure that different perspectives based on gender, nationality, discipline and other criteria, are around the table. Another criterion is that CIFAR’s involvement makes a difference. CIFAR wants to carve out a unique role. And we want to make sure that all our activities are measurable so that we can evaluate impact. Lastly, new programs should ideally contribute to CIFAR’s overall portfolio and potentially synergize with our other programs. Based on the work of our Program in Child and Brain Development, we have been influencing Canadian and international public policy for 30 years. Our AI program has truly been ground breaking, leading to the development of deep learning. CIFAR’s program in Learning in Machines and Brains, originally led by Geoff Hinton and now co-directed by Yoshua Bengio and Yann Lecun, and the group of CIFAR fellows in this program, are an example of the pioneers in this powerful new science. How do you see the $125-million Pan-Canadian AI Strategy transforming the economy and its various sectors in the coming years? Simply put, AI will impact every aspect of society. The skills required in an AI-driven society will likely profoundly change, as will our interactions with machines. I think Canadian companies have been quick on the uptake of new AI technology, because in large part, the AI talent is right here. The Canadian Government recognized the importance of AI talent and ideas in Budget 2017. In a month or two, we will be announcing the first round of the Canada CIFAR Chair’s in AI. How can STEM disciplines in Canada become more inclusive and diverse? Canada has few women role models in science. It is critically important that we draw on all the brains on the planet to address the important challenges the world faces, whether it is climate change, terrorism or disease. Inclusivity encourages the world’s best minds to fully engage and, in turn, for society to benefit from the amazing amount of untapped talent. Equality of opportunity is a question of fairness. We have a long way to go to ensure that minority groups – visible minorities, indigenous people, people with disabilities and women – have equal opportunity in society. It’s a matter of both fairness and of excellence. The challenges are different for different groups, so the solutions need to be tailored to each group. We also need to understand that these challenges are going to be difficult to address. We will not overcome them overnight or even in a single generation, which means we need to maintain our commitment over the long term to solve these problems. As a country, we are taking the first steps, starting with recognizing the problem. Are you optimistic about Canada’s future economy? I am an optimist and with very good reason. When Canada first became a nation 150 years ago, the average Canadian lived to about 40. Today, the average Canadian lives to between 82 to 84 years from birth, entirely because of science. Science and innovation are improving our lives and there is no reason to think that the pace of change for the better is going to slow. Quite the opposite. Take climate change. Until recently, the world had under-invested in cleantech and renewable energy science largely because we have not foreseen the need. But, with the evidence that climate change is real and is a result of human activity, the imperative to invest in the science behind renewable and sustainable energy is real and urgent. I believe that we will solve the problem of renewable energy over the next 10 to 20 or 30 years. Canada has the opportunity to undergo a smooth transition from carbon-based fuels to solar, because we have the science and brain power, young innovators and, increasingly, the risk capital needed to develop and to scale renewable energy science research. The young people who are coming out of our high schools and universities are bright, globally oriented and entrepreneurially focused, and we need to make sure we harness that talent. They want to use their brains to better the world and to better humanity, whether through science or other means. We have the CIFAR Azrieli Global Scholars program for young assistant professors within their first five years of their first academic appointment. There are now over 30 CIFAR Azrieli Global Scholars. They are working on everything from renewable energy to astrophysics to genetics to economic issues. They are an amazingly intelligent, enthusiastic and innovative group of young people, from every discipline and every continent. Even half an hour with them is energizing, and makes me optimistic about the future of our country and the planet.